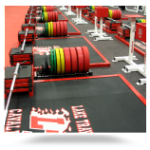 Ultimate RB Mats are the most durable, resilient rubber matting on the market. No other product comes close. 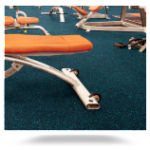 Our rubber matting can be produced in a wide variety of shapes and color combinations. 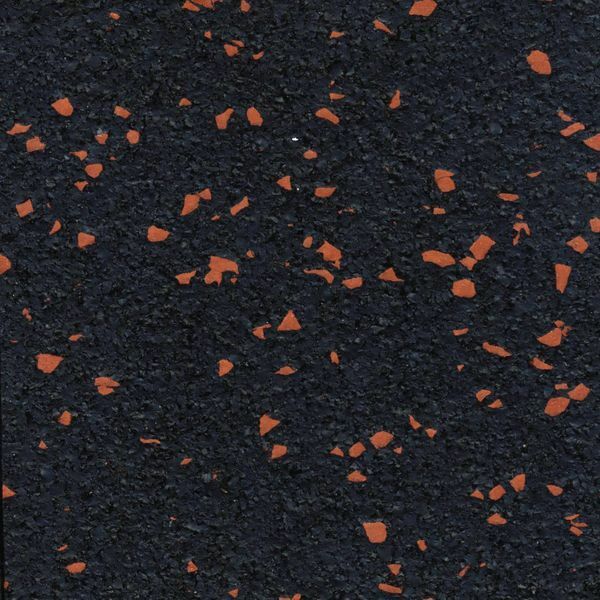 Ultimate RB mats are manufactured via a proprietary process in which recycled tire crumb and a specially engineered polyurethane binder are subjected to tremendous heat and pressure. 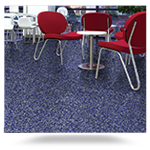 The rubber matting that emerges from this process is remarkably tough and wear resistant. 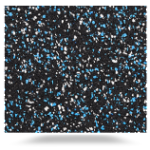 Ultimate RB can produce rubber matting material in thicknesses of 3/8″, ½” and ¾”. 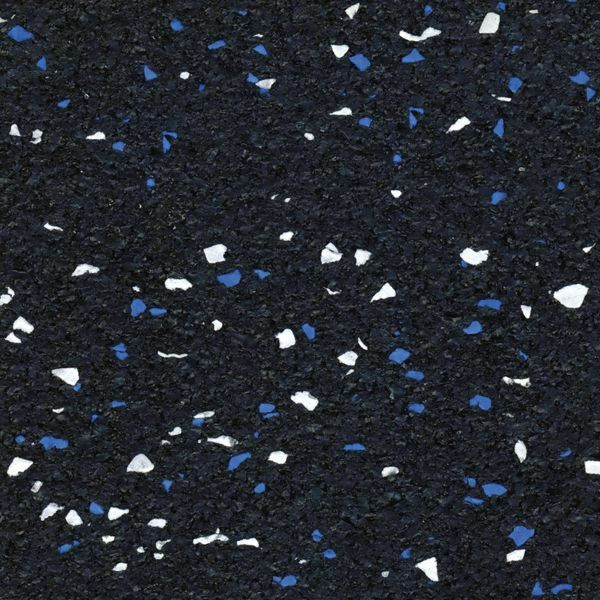 We can also change the appearance of the mats by adding colored EPDM granules to the formula. Because our press is so large, we can offer mat size options that no competitor can match, and our computer controlled cutting machine can cut the matting into any shape that you desire. 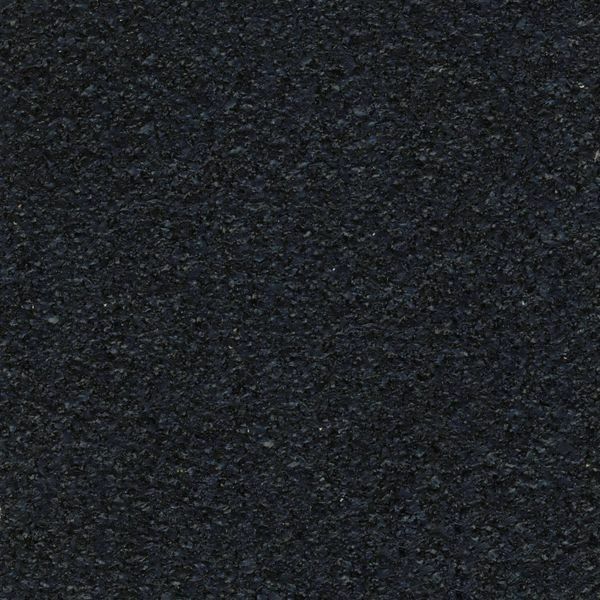 Regardless of thickness, color or shape of the end product, all Ultimate Rubber Mats have the same tough, durable construction that is described above. 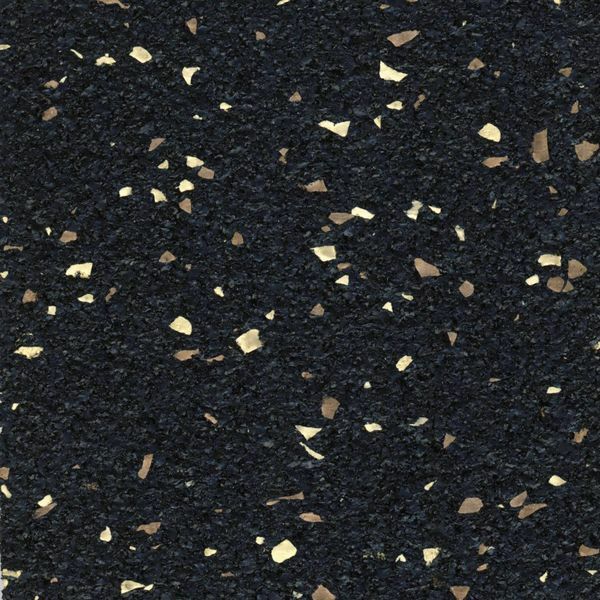 The original product idea behind this unique manufacturing process was horse stall matting for the equine industry. 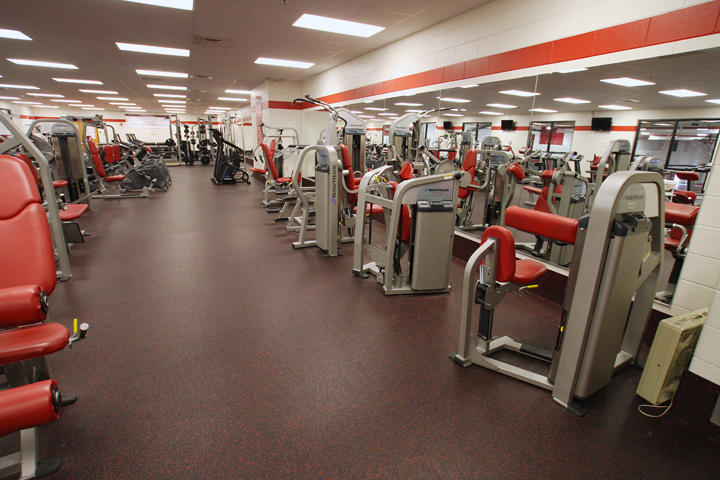 The use of the product expanded into the athletic market for fitness centers and free weight areas. 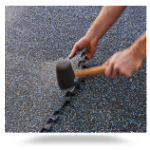 Other popular uses for our matting material include truck bed mats and various commercial applications, such as walkway roof pads. 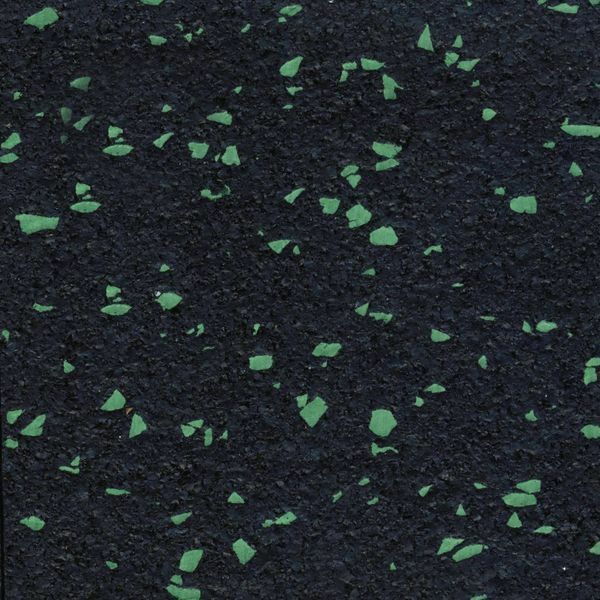 All of our rubber mats contain at least 90% recycled material. They are all manufactured in the USA and are all covered by our industry leading Limited Warranties. 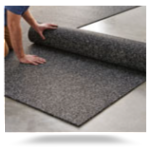 For this reason Ultimate RB is the largest manufacturer of stall rubber matting in the United States. When you ask for mats you can be sure that the mats you take home will be the highest quality, environmentally friendly and made in the USA. We stand fully behind each mat we produce with a 15 year limited warranty. 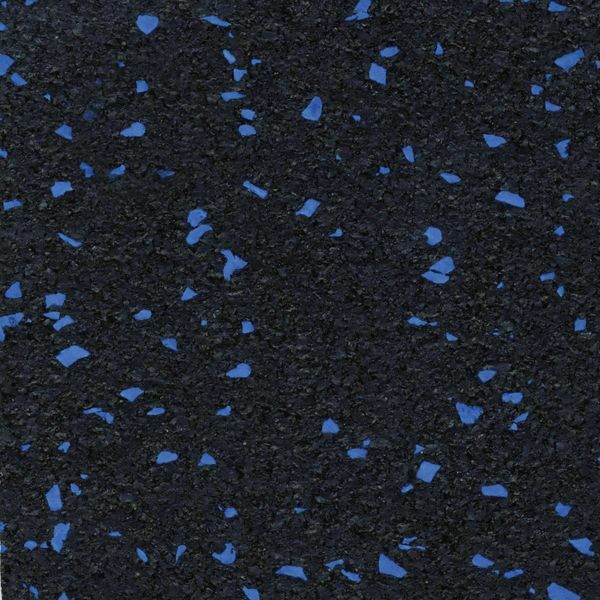 Water and other fluids flow freely under and through Easy Step rubber matting’s multitude of ¾” honeycombed shaped holes. Every Easy Step mat also features 256 resilient nubs per square foot on the underside. 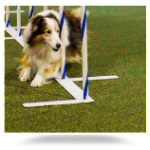 With this degree of anti-fatigue engineering, anyone can immediately feel the benefits of standing on these rubber mats. 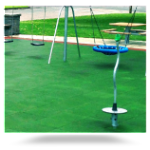 When placed under a swing or at the base of a slide, these durable 36″ x 36″ x 2″ rubber mats prevent the “trenching” caused by the impact and abrasion that naturally occur in these areas. 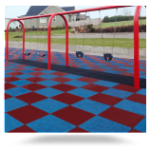 Available in 5 attractive colors and requiring no installation — simply lay them in place — Swing and Slide rubber matting is an economical solution to a common playground maintenance problem. Ultimate RB LoadLock Cargo Containment Rubber Mats are a cost-effective method of reducing the movement of goods in transit. The movement of goods within shipping containers presents numerous problems ranging from product damage to safety concerns during transit and unloading. 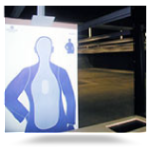 Each year billions of dollars of goods are damaged in this manner, and countless costly injuries also occur. Ultimate RB LoadLock Cargo Containment Rubber Mats reduce the movement of goods in transit on tractor trailers, intermodal containers and railcars. 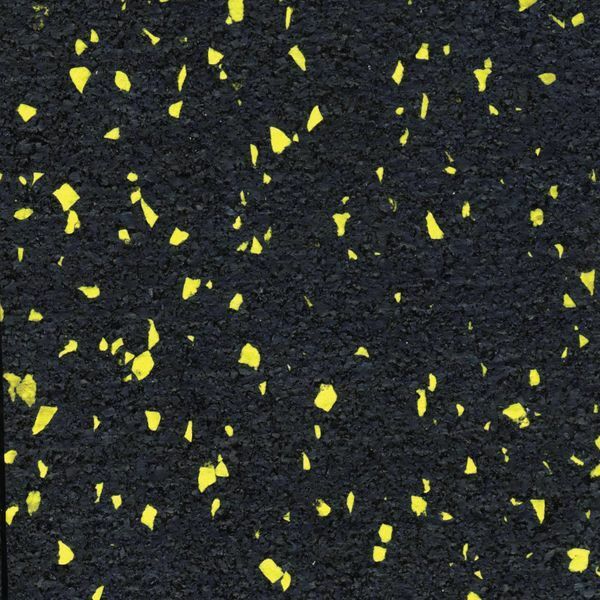 Made in the USA from 100% recycled tire rubber, Ultimate RB LoadLock Containment Rubber Mats are available in sheets, rolls and perforated rolls. 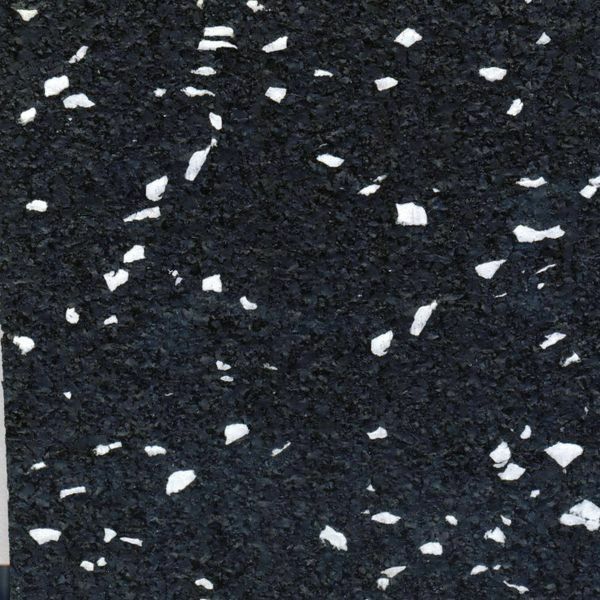 The 3mm product is approved by the American Association of Railroads for use in intermodal transport of bulk paper goods (see AAR Intermodal Loading Guide). For trucks or other uses not requiring AAR approval, 2mm product is also available. 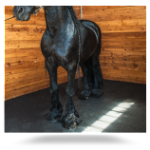 Ultimate RB Rubber Truck Bed Mats are made from the same heavy duty material that we use for our horse stall mats. 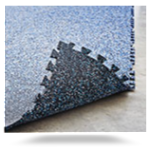 This durable 3/8” matting will help prevent your cargo from shifting in transit. 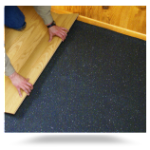 No adhesive is required to install our truck bed rubber matting; you simply lay the mats in place. Since they are removable, cleaning your vehicle is a snap. 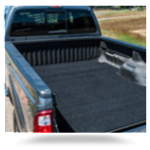 Each mat is custom cut to precisely fit the contour of your truck bed. We can create a custom mat for virtually any truck model produced since the mid 1970’s.